The Portfolio Committee met for a briefing by the National Development Agency on its Annual Performance Plan and the budget for the 2018/19 financial year. However, the presentation did not take place as the meeting was postponed before the presentation was made as the Committee and the Minister of Social Development had to deal with administrative and political matters. The meeting commenced with a briefing by the Minister on the challenges that she faced in her new Department. The main challenge related to the organisational structure of the Department of Social Development and the implications for the Annual Performance Plan and the budget allocation. The Minister stated that the structure currently utilised by the Department had expanded from seven branches to ten branches without the approval of the Department of Public Service Administration and was therefore unauthorised. She had been informed by the Department of Public Service Administration that the Department of Social Development had to revert to the organogram of 2012 and was seeking an Annual Report to confirm details of that organogram. The plans for 2018/19 were, therefore, attached to branches that should not exist and the budget was, therefore also attached to unauthorised branches. Treasury could not fund any activity not contained in policy, and likewise could not fund an organogram that had not been approved by Department of Public Service Administration. Furthermore, the number of support staff in the Department exceeded the number of core staff which would impede delivery and was against Treasury policy. While the Minister was concerned about the high number of vacancies in the Department, and in the South Africa Social Security Agency (SASSA), at the same time, she was obliged to put a moratorium on the filling of posts until she was sure which posts were in the approved organogram. The Minister raised concerns about the fact that the Annual Performance Plans and the budget were prepared under the leadership of the former Minister and signed off by her. The Minister queried her accountability for such plans and budget. In the light of concerns about the time limitations posed by the Constitutional Court, the Minister Committed herself and the Department to following the instructions and timeframes of the courts. She explained that the tender process had been flawed, which would lead to further court cases, and that she believed a clean process could be completed in the time available. She stated that she would not be going to court to ask for an extension to the CPS contract and that all business with CPS would be completed before the end of September. The Minister also informed the Committee that all reports to the courts would be shared with the Committee. The Committee asked the Minister how it was possible for Parliament to approve a budget that was not linked to an approved structure and whether that was committing fraud. Members asked whether the current Minister had approved the Annual Performance Plans and who would implement the plans if some of the units in the structure did not officially exist. Members asked how SASSA planned to fill its vacancies and whether it was right that some officials had to take on additional work because of the unfilled posts. One Member asked whether the Department of Social Development was dysfunctional. The Committee suggested that the Department request legal advice from Parliament on how to proceed with the matter of a budget being approved against an unapproved structure. The Chairperson interrupted the discussion and requested that the National Development Agency and all members of the public leave the room while the Committee and the Minister continue to discuss matters. When members of the public were invited back into the room, they were informed that the meeting had been postponed as further communication needed to take place between the Committee and Minister and that the National Development Agency would present at a later date. The Chairperson welcomed the Minister and the Department and the National Development Agency. She alerted Members to the fact that they were working under serious time constraints. She was aware that there were many issues to be addressed but asked that Members be focussed on the Annual Performance Plans. She reported that the Minister was in a Cabinet meeting but had promised to fly in and out of the meeting. The National Development Agency (NDA) and the Department of Social Development (DSD) were in the meeting and the South African Social Security Agency (SASSA) was on the way. A brief discussion took place as to the order in which presentations would be made. It was decided to commence with the NDA. The Chairperson welcomed the Minister to the meeting. 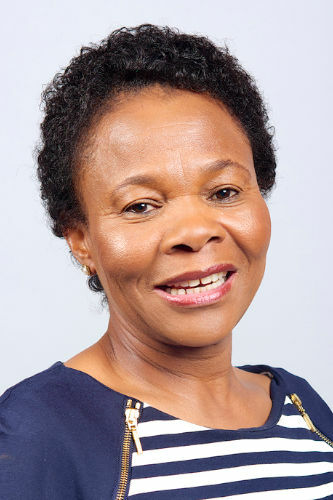 Minister Susan Shabangu stated that when her Department and its entities had presented her with the Annual Performance Plans, she had realised that there was a problem with the organisational structure in the Department and in SASSA. She had not even been able to get to the other questions. Senior management had explained that the only structures available were from 2015, 2016 and 2017 and that she had chosen to follow the 2015 structure. 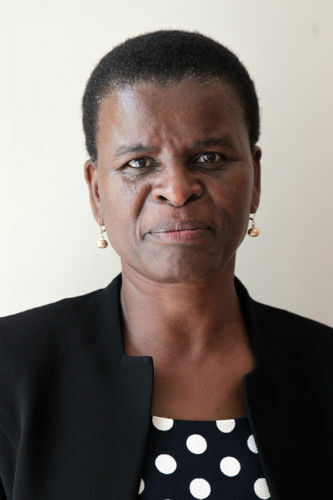 She had recently received a letter from DPSA addressed to the previous Minister requesting that the 2012 structure be followed and was seeking an Annual Report from 2012 which would contain the approved structure to compare it to the 2015 structure. The difficulty with the APP was that if the structure was not correct, one did not know to which branches and units should deliver on the APP. How would the Department structure its delivery of the APP? There were 440 vacancies in SASSA which also had to be frozen. The President and the Minister had come to an agreement that the CEO should be the main priority in the state enterprises because the CEO should take responsibility for the entity and for appointments. However, the CEO of SASSA did not impact on the court case. Following the direction and guidance of the court was a priority and each time that the Department and SASSA reported to the Constitutional Court, that same report would be shared with the Committee. 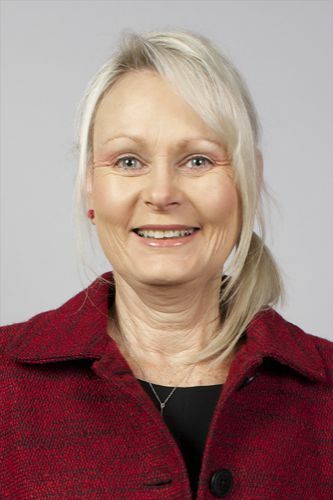 She pleaded that the Department be given a chance to have a briefing with the Portfolio Committee before it submitted its reports so that there was an understanding between the courts, the Department and the Portfolio Committee. Currently, the Courts rejected the reports as the Department presented different information to the Portfolio Committee and to the courts. The Minister also had to report to the Constitutional Court once a month and that report would also be shared with the Portfolio Committee. The Constitutional Court wanted cohesion in the reports. The Chairperson gave the Committee an opportunity to ask the Minister questions. Ms V Mogotsi (ANC) asked how a clean audit would be possible when there was not a consistent structure. An organisational structure had been implemented. However, the last structure had been rejected because it was not an appropriate structure. She asked which structure would be followed for the APP. The organogram was a huge issue in the Department. She asked about those branches that were not in the structure. What would be their role in the APP? The Chairperson reminded the Committee that it was under serious time constraints and needed to have the presentations. The Committee would have to see a report on the funds and allocation of those funds. The APPs dealt with expenditure. It had to be clear how APPs worked. There was no other option, and the Committee had to work with the Department. She explained that the Committee had planned to spend the full day on the reports as the Social Development budget would be tabled in the House on 9 May 2018, but the House was sitting that afternoon and so the Committee had to complete its business by mid-afternoon. Ms S Tsoleli (ANC) commended the Minister for briefing the Committee on the challenges. She stated that the Members had been fed lies by the Department. How could a budget be approved that talked to a structure that was wrong? How could the Members agree to the budget being approved if there was no structure? That seems like fraud. There had been information that had been concealed by the Department and the enterprises. It was during December 2017 that the DG had stated on the news that a budget had been approved for the structure. She advised that the Secretary call the necessary legal person for advice on how to move forward. The Committee had not approved a structure so how was it that a budget had already been approved? She also stated that the Minster’s signature was nowhere to be seen on the presentations and neither was the Deputy Minister’s signature. The only the signature was that of the former Minister. The Chairperson responded that the Committee had previously asked for a presentation from the Department showing whether the critical vacancies had been filled. Without filling those positions, service delivery would be hindered. It was Parliament that approved the budget, so how could there be an approval of the structure? Dr Q Madlopha (ANC) asked if the Minister had approved the current structure and whether the lack of a signature was a problem. The entities made the presentations, but they did not directly request a budget. It was the Department that was given a budget. There was a need for legal advice. The Minister was saying that there were three different organisational structures for the Department. When the APP was approved, which structure would implement it? There were units in the structure that did not exist. The Department could not ask for the approval of a budget if the Committee was not sure of the structure. She agreed that the vacant posts had to be frozen until the Minister knew how to move forward. Did SASSA not have an organogram if there were so many vacancies? The Chairperson replied that SASSA was not present to answer those questions and the Committee would be briefed once SASSA had made the presentation on its APP. Dr Madlopha replied that the question was only whether SASSA had an official organogram. If it had an official organogram, there was no need for vacancies to be frozen. SASSA needed to employ people. Ms B Abrahams (ANC) stated that the absence of the Minister’s signature was a problem. A signature assured accountability. Otherwise, how would the Minister be held accountable? She agreed that legal advice was necessary. Ms B Masango (DA) asked if it was an exaggeration to say that the Department was dysfunctional. There were already many complaints about a shortage of staff from the existing staff as they were expected to do additional work. Freezing vacancies would not help them. The APPs were not understandable. Legal advice was necessary. Ms L van der Merwe (IFP) agreed that the Minister should seek legal advice. How could a budget be approved for something that was not there? It was unfortunate that the new Minister was being held accountable for an old Minister’s work. The previous Minister had approved the new structure in December. It made sense going forward that the Department filed to the Courts first and then briefed the Committee. There were always many stories circulating in the media and that made understanding the facts difficult for all parties involved. The Court was the highest body and it should be prioritised when receiving information. The Minister responded that she would work together with SASSA to create cohesive reports. One should not conclude that the Department was dysfunctional. Only an analysis of the Department would show that. She was still trying to use the structure to understand how the Department worked. The 2015 structure expanded the Department to ten branches whereas there were supposed to be seven. She would attempt to reduce the structure to seven branches. The expansion explained how there were structures that were not funded. Treasury had not approved a budget for the additional structures. If there was an appointment according the current structure, there were going to be extra people. Treasury had to be asked to fund the salaries for the vacancies. She clarified that her signature was not on the APP because she had not yet approved it. She would sign when she felt she could be held accountable for it, but she could not approve what she was still investigating. There were certain things that she did not agree with, in principle. She was not opposed to employing people. While the Minister was speaking, the Chairperson requested an adjournment as the NDA and visitors were still present. The matters being discussed required only the presence of the Committee Members and the Minister. The Chairperson requested the NDA and members of the public to re-join the meeting after an hour and a half. She announced that the Minister and the Committee had to engage in further discussions and consult with advisors in order to resolve the matter. The meeting would therefore, be adjourned and the Department and agencies would be called at a later date to make presentations on the APP and the budget.